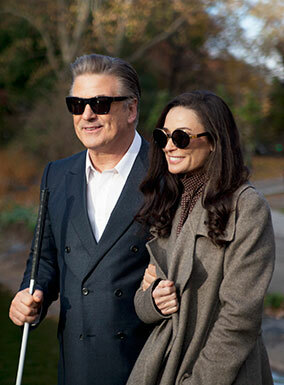 A Best-selling novelist, Bill Oakland (Alec Baldwin), loses his wife and his sight in a vicious car crash. Devastated, lonely and bitter, the accomplished writer and professor spends his days trying to cope with his condition. When socialite Suzanne Dutchman (Demi Moore) is forced into community service as a plea bargain for being associated with her husband's insider trading, their lives intersect. Reading to him weekly in his room at the rehab center, Suzanne concedes the brilliance behind Bill's angry facade, while in this intimate setting, he must engage with this strong, fiery woman, who is clearly his match. Michael Mailer has been working extensively in the independent film business since graduating from Harvard University in 1987. He co-wrote and produced his first feature film, "A Fool And His Money," starring Sandra Bullock and George Plimpton, in 1988. Since then, Mailer has produced over 20 features. His films include the critically acclaimed "Two Girls and a Guy," starring Robert Downey, Jr, Heather Graham, and Natasha Gregson Wagner; "Black and White," starring Ben Stiller, Brooke Shields, Elijah Wood, and Mike Tyson;" and "Empire," starring John Leguizamo, Denise Richards, and Peter Sarsgaard. Mailer also found success in films like "Lost Junction" with Neve Campbell; "The Last Producer" with Burt Reynolds, Lauren Holly, and Benjamin Bratt"; and "Harvard Man," starring Sarah Michelle Gellar, Joey Lauren Adams, and Adrien Grenier.